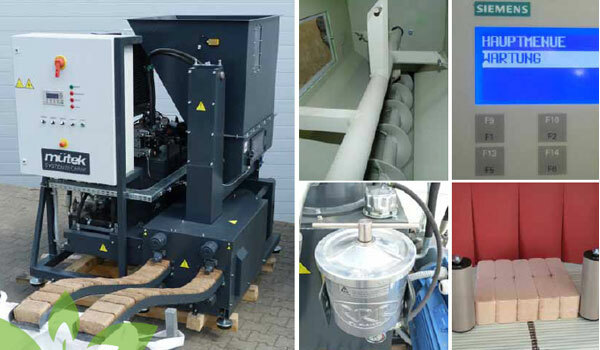 mütek Systemtechnik is the specialist for the supply of individual machines and complete solutions for volume reduction of paper and cardboard. 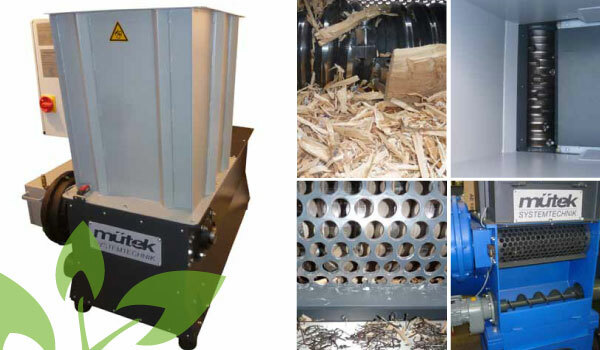 For many years, mütek Systemtechnik has been working on the shredding and briquetting of paper and cardboard. 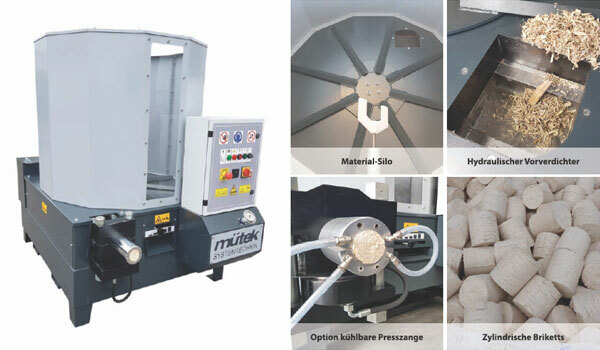 mütek provides valuable information and experience about the compaction, plans and designs the machine technology, supplies and assembles the entire plant. The shredding machine type MRZ is the ideal shredder for your paper and cardboard residues. MRZ shredders are built with a slow-running profile full-steel rotor (Ø 260 or 360 mm). The starting raw material is pressed against the shredding rotor by means of a hydraulically operated moving floor. A special scraper blade prevents the paper from jamming under the slider. Depending on the desired granule size, sieves with hole sizes of 10 to 50 mm can be installed. The generated chips are transported via conveyor belts for further processing. 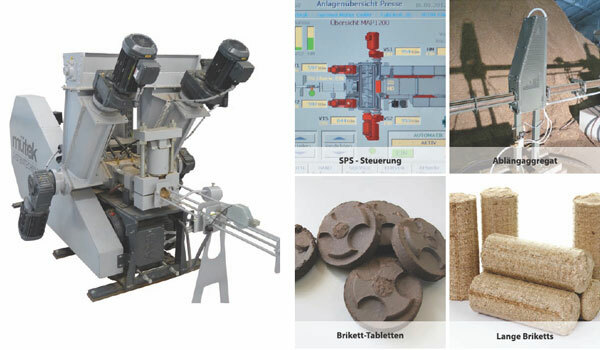 The high-quality mütek briquetting presses process paper and cardboard boxes to form stable briquettes. Compared to bulk materials, the initial volume is reduced by up to 75%. Due to the briquetting process, dusts are bound and the risk of fire or explosion is significantly reduced.